Grilled Carrots! | Eat More Plants. Why have I never done this before?!! It was! So odd that I never thought to do that before. I also just discovered roasted radishes…FYI. Very delicious. So, all I did was whisk together 2 tablespoons of olive oil, 1 tablespoon of balsamic vinegar, 1 tablespoon of fresh chopped rosemary and a pinch of salt. I brushed that onto clean, dry carrots and grilled them over med-high heat for about 15-20 minutes depending on the thickness of each carrot. The smaller ones were done in 10-15 minutes. If the skin is looking crispy but the inner flesh is still too crispy for your liking, turn the heat all the way down and let them sit to roast for another 10 minutes. Or turn the heat off completely, close the BBQ cover and let them sit on the grill to cook more. SO good. So, so, so good. Next time I’ll try it with some different herbs like thyme and oregano. Also, I left a few inches of the green tops on each carrot to use it as a holder. 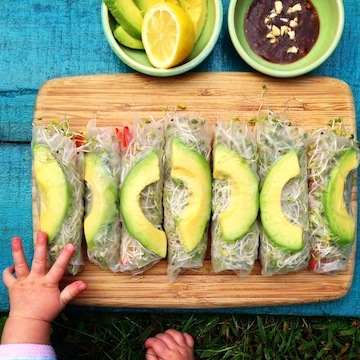 No utensils necessary. Yum! I have been thinking about grilled carrots recently so this is a perfect reminder to get on that! They look so beautiful! Btw, I recently discovered roasted radishes, too! Delicious! 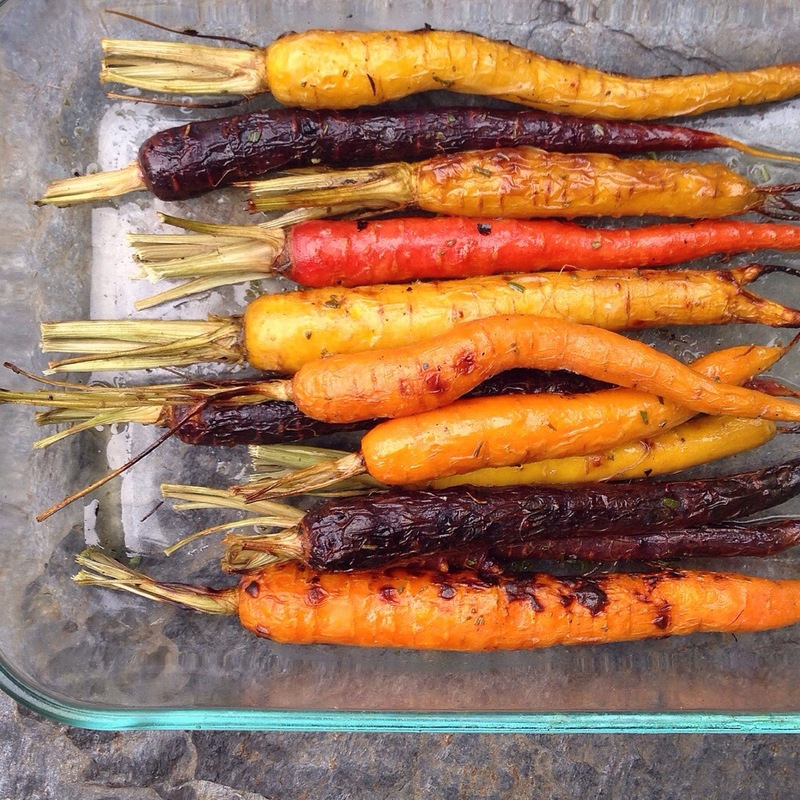 Grilled carrots are one of our favorite dishes-So tasty! I think you are going to cause a lot of light bulb moments when we all read this. Have to try it! Love grilled carrots, but never heard of roasted radishes. Gonna have to try that!